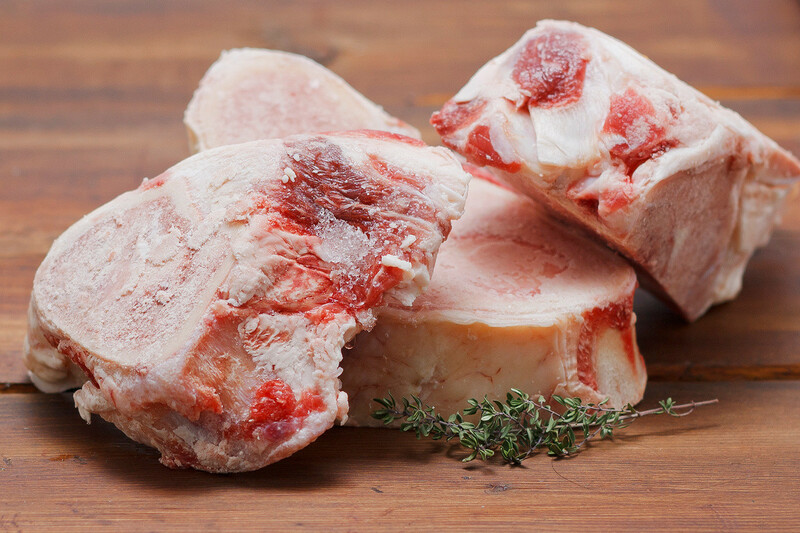 These marrow bones are ideal for soups and long-simmered bone broth, but you may have to compete with you dog for them. They provide fantastic health benefits, no matter who is eating them. Around 2 pounds.